Property offenses are one of the most common issues we deal with here at Semko Law Office. We understand what it’s like to find yourself in a bad situation – and even one where you don’t see the light at the end of the tunnel. 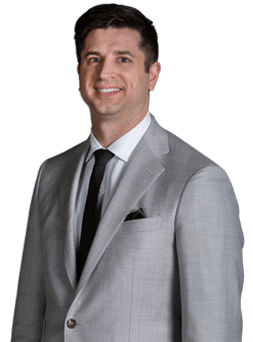 You need a good criminal defense attorney who can provide you with the best defense possible and even help you see the best possible results given the severity and specifics of your case. At Semko Law Office, we know that sometimes good people can do bad things. That is why we are here to help, regardless of the situation. If you are facing federal or state charges including things like destruction of property, theft, burglary, vandalism, or mortgage fraud, you need to hire a competent criminal defense lawyer who understands how the law works. This is vitally important to keep your record as clean as possible in order to move on in life without something hanging over your head every step of the way. When you feel like your life is spiraling from your control, find a knowledgeable attorney who is ready and willing to help protect your rights! At Semko Law Office, we work hard so that you don’t have to. Don’t allow your career and your future to be overshadowed by a criminal record. Even if we can’t have your case dismissed entirely, our experienced attorneys are skilled in defending you in court, and will not hesitate to take your case in front of a judge if that’s the most beneficial course of action for you. Semko Law Office handles property offense cases in Northwest Indiana, including Lake County and surrounding towns and municipalities. We’re passionate about correctly handling your case and ensuring that we do everything possible to ensure that your rights are protected every steo of the way. At Semko Law, one of our areas of specialty is that of property defense law. While common, these kinds of cases can be particularly tricky and complex. That is why it is important to find a law firm that understands how property offense law works, and how to best handle your case to ensure success. Our law office treats our clients with respect and understanding. We know that sometimes bad things happen to good people, and we’re always working hard to put our clients first. We will fight to protect your rights and ensure that you have adequate and competent representation as you move through the court process, be it federal or state court. We will do our best to resolve the issue without the need for a trial, however we are both ready and willing to go to court if need be in order to fully uphold your rights and fight for your best interests. In the even that the option between settling and going to court is available, we will do our best to provide you with the information you need to make a good choice that helps ensure the best outcome for your future. When it comes to your future and your rights, you deserve someone who will fight for both aggressively. That’s exactly what we do at Semko Law Office, and our attorneys are always passionate about fighting for our clients’ rights. Our results speak for themselves, and clearly show our dedication to our clients. If you, or a loved one, have been charged with a property offense, you should seek out aggressive and skilled representation right away. We understand how trying this time in your life can be. Our hard work and determination will work to your benefit when it comes to protecting your rights as well as your future. Contact us today for a property offense consultation to see how we can help you with your particular case.